It's that time of year again - where the fashion community congregates to observe the trends that will fall upon us next season. Of course, my wardrobe was prepped months in advance to ensure that I was attending in style. 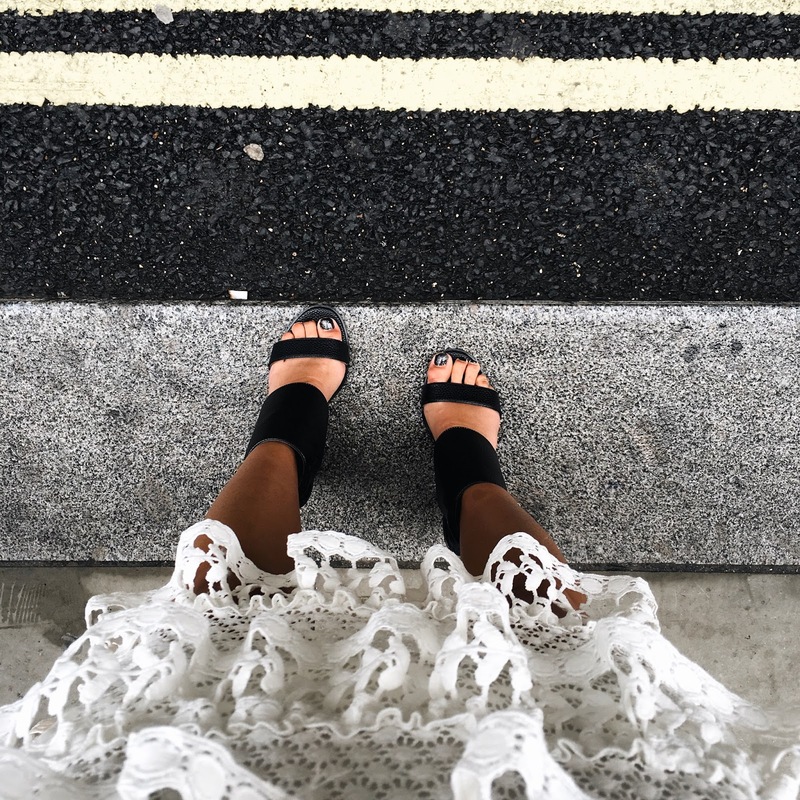 I opted for a chic white ruffles dress for my first day at LFW, the self-portrait(esk) dress was perfectly paired with buckle strap sandal heels. To kick start off the manic weekend, I attended the Teatum Jones show which showcased their SS'17 collection of young and fun graphics on silky silhouettes. The next stop of the day was the Paul Costelloe show hosted at the beautiful Le Meridién Hotel, the picture perfect catwalk saw the return of the classic ruffles. To finish the night I headed to the Wolf & Badger x Swarovski LFW Party which was pure sparkles all round. To view more catwalk images - head over to my Instagram page.